There are new houses popping up everyday and Herndon, VA first time home buyers like you have got their eye on getting one of these houses. Yet buying your first home is never that simple. There is a lot of paperwork to go through and different kinds of loans to consider. How then are you going to be able to go through this confusing process? Well Fairfax Mortgage Investments is here to help! We make the Herndon, VA home buying process easy by going everything over with you in great detail, so you can get your first home. With a variety of programs and such to choose from, we help you pick the best one for your home buying needs. So please contact us today! Our team will be there with you every step of the way. FHA loans are good for Herndon, VA first time home buyers looking for the right loan. They have smaller down payments and closing costs compared to other loans, as well as competitive interest rates. FHA loans are insured by the Federal Housing Administration. USDA loans offer low income Herndon, VA first time home buyers to get a home in the rural part of the country. They have a low, fixed rate interest and no down payment to those that qualify. USDA loans are backed by the US Department of Agriculture. VA home loans can give military personnel the home they want with its low costs. They have no down payment and low interest rates to those that qualify. They also do not require mortgage insurance, allowing military personnel to not have to worry about money. If a first time home buyer is buying a home in need of renovations, this clause can help them. FHA Section 203(k) has repair costs for a home and the mortgage all rolled into one, making everything cheaper. Generally, this is only in effect when the total cost is $5,000 or more. With a variety of loan packages to consider, you might find it confusing and hard to pick one. And even then, buying a home in Herndon, VA takes time, time that is precious and needs to be efficiently managed. 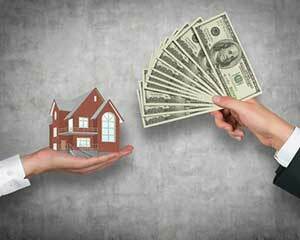 Fairfax Mortgage Investments is able to help you find that right loan package so you don’t have to worry. What do you do for the Herndon, VA home buying process? To start off, figure out how much housing costs, closing costs, and the house itself cost then make a budget based on that. Then you find a realtor and prepare a first consultation with the right documents, like pay stubs, bank account statements, W-2s, tax returns, current loan and credit card lines statements, and the names and addresses of previous landlords. Fairfax Mortgage Investments will then help you through the rest of it.